Bali is known as a world tourist destination, generating huge foreign exchange, employment is still very large, but there are still many people living in poverty. Although Bali is a tourist destination of the world, with many tourist attractions and entertainment, generating huge foreign exchange, employment very much, but not all people can feel the beauty of life and looking for a job in Bali. One example that is very difficult to get a decent job with a higher income can be seen in Sanur. Sanur is known for beautiful beaches with a breathtaking sunrise. But in the corner of the city, in small alleys and narrow streets, lots of low-grade prostitution, at a cheap rate. Cheap prostitutes in Sanur has been known to many people. Most of the prostitutes come from Java. They came to Bali with the hope of getting a decent job with a great income. However, not all managed to get a decent job. Because the cost of living in Bali is higher than in Java, they must be prostitutes to earn money. Prostitutes in Sanur also a lot of that comes from a place of prostitution in Java. In Java whore it was not desirable, then they are taken to Bali, with a very cheap rate. Some women prostitutes in Sanur is a victim of trafficking in women. Many cases unfold. If explored more carefully, they worked as prostitutes, they do not actually want. They are only driven by economic necessity. Money is their primary goal, not on the basis of pleasure. 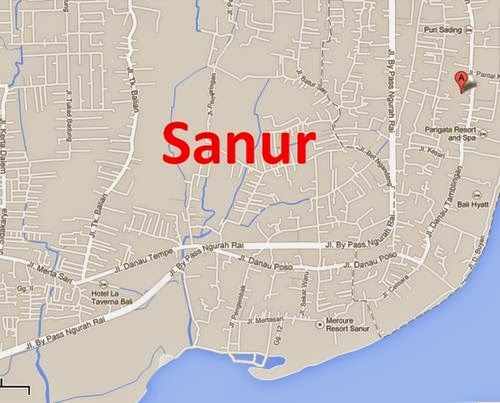 Sanur is a center of prostitution in Bali, it is a fact. Very easy to find cheap prostitutes in Sanur. The house is located in a narrow alley, with house numbers ending in X, is a house of prostitution. X suffix used as markers that distinguish the homes of local residents with a place of prostitution. The government has sought to curb prostitution and dissolve in Sanur. But they always come up with reasons to make money for the needs of the economy.